These families prove that you don't have to wait to have a lot of money or a lot of time off to do the Great Loop. They home school their children, work from the boat, and have the adventure of a lifetime as a family! Have questions about Looping as a family? Join Us and gain access to our Looping Families Discussion Forum. Not a member? Follow our facebook page to learn more and hear about upcoming events. 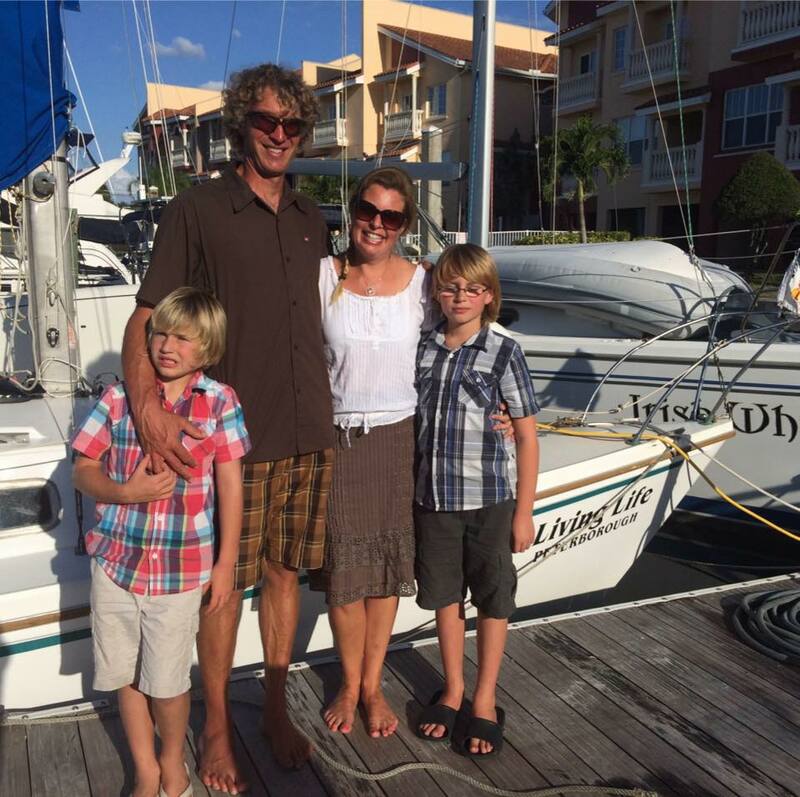 We are a family of four cruising America’s Great Loop in Living Life, our 27-foot Catalina sailboat. We are fortunate to have a whole year off. I am a teacher and this profession allows for many opportunities to do things a little differently. I’ve been doing a ‘4 over 5’ which basically means that I am getting paid four years salary stretched over five years, and I get to take the fifth year off. I even get to go back to the same job afterwards! Pretty amazing opportunity! My husband is a gifted metal artist/blacksmith and can also be flexible with his time. He has also been the primary caregiver for our boys. Lucas & Marcos are aged 6 and 9. They would have been entering Grade 5 and 2 this year, and are very excited to not be going to school! We will be homeschooling them, though. 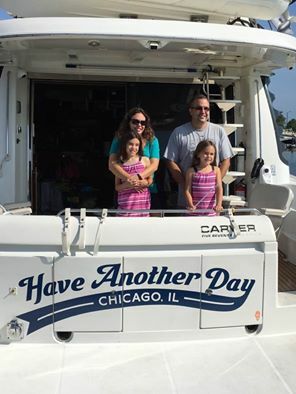 Ben, Laura, Molly and Madelyn on a year-long voyage aboard Have Another Day, a 57-foot 2003 Carver Voyager 570. We are doing the Great Loop, a loop of the eastern portion of the United States. We left from Chicago, headed west on the Illinois River and met up with the Mississippi River and headed south. 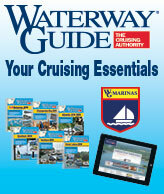 From there, we hooked up with the Tennessee Tom Bigbee Waterway and headed south to the Gulf of Mexico. Once on the Gulf, we made our way around Florida, headed to the Bahamas for a while and next will make our way north up the eastern seaboard. We will begin heading back west at New York taking the Erie Barge Canal back to the Great Lakes and eventually home. Molly and Madelyn will be missing their fourth and first grade years of school. We are planning to home school them for the year. 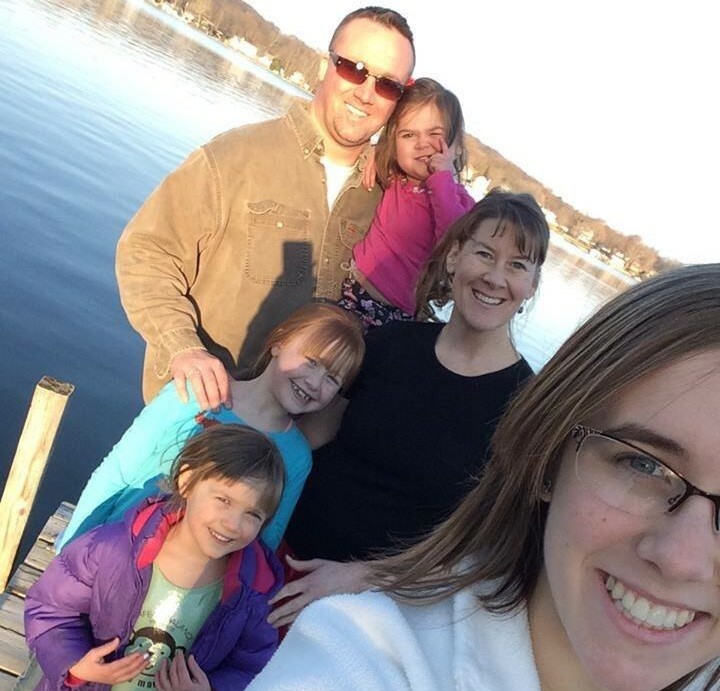 We hope the combination of their parents’ ability to facilitate their education as well as the experiences along the way will make our decision to home school them a successful one. In 2011, our 4th daughter was born with a severe and critical complex congenital heart defect. She was given only a 10% chance of surviving. We were prepared to have only 20 minutes with her at birth if she survived long enough to be born. By God's grace, she lived long enough to be life flighted to another state where our family lived at the Ronald McDonald House for 11 1/2 months waiting for her to get well enough to bring her home. Since her first discharge, we have learned a lot. We have learned to live life to the fullest and to truly not take things for granted. We also learned that living in one room at the Ronald McDonald House may have, in fact, prepared us to "live" on a boat. :-) None of us are guaranteed tomorrow, but it is even more in our face with Mia. In 2015, we had the crazy idea that maybe that "someday for the boat trip" should be now. We discussed our potential plan with Mia's cardiologist and he was on board as long as Mia's next open heart surgery went well. So for the better part of 2015, we cautiously made plans for our family to take The Great American Loop. We were planning, but careful to not get too excited because with Mia, anything can happen. So, with cautious optimism, Bobby took boating courses through the United States Power Squadron and we did lots and lots and lots of research. We even talked to Make A Wish to see if they could help us in any way for Mia's wish through them. She loves the water and boating so it seemed like a great fit for her wish, but it was out of their scope of wishes able to be granted. As the end of 2015 approached, we stayed in contact with Mia's cardiologist and other doctors as well as her pharmacy to see what we would do about getting medications and medical supplies. The next big thing was obtaining a boat. With all Mia's expenses, we were very limited on our options. In a stroke of what can be nothing else than a huge blessing, the very couple that we followed their journey (and by the way are lifelong friends of our family), decided that they no longer needed the boat on which they cruised The Loop in 2001. Not only did they not need it any longer, they wanted to essentially "gift" it to us at an extremely reduced price! We met them at the bank one very cold day in early 2016 and signed paperwork for the transfer of "La Cigale". The next big step was getting Mia through this next big open heart surgery. The plan was to do the surgery early in the spring to give her time to heal. The best laid plans.... you know the saying! Well, she has had many bumps in the road, complications and readmits, but it seems as though she is finally "holding her own", so we have decided to move forward with leaving on the boat trip, beginning August 14th, 2016. (Weather permitting). In an even crazier twist of events, we were wondering what we would do with our home while we are away and a good friend of our family was moving back to Akron for schooling and needed a place to stay. What a fantastic way to hopefully bless someone else in this process! 15 years ago, we had considered doing this upon retirement, but after all that we have gone through with Mia, we know that tomorrow is never promised, and we find it necessary to experience this trip as a family. Some people save for retirement and never make it that long so if we need to dive into it in order for this to happen, we are ready and willing! If we don't do this now and we lose Mia early, we will always regret it. Will it be easy? No. Will we have bumps in the road? Of course. Will we likely visit hospitals in states we have never been to? Probably. Will it be worth it? YES! We realize this is completely crazy and some people will not agree with our decision to do this, but for those interested, you're welcome to follow our journey. We would love to have you along for the ride!